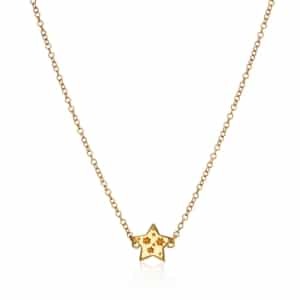 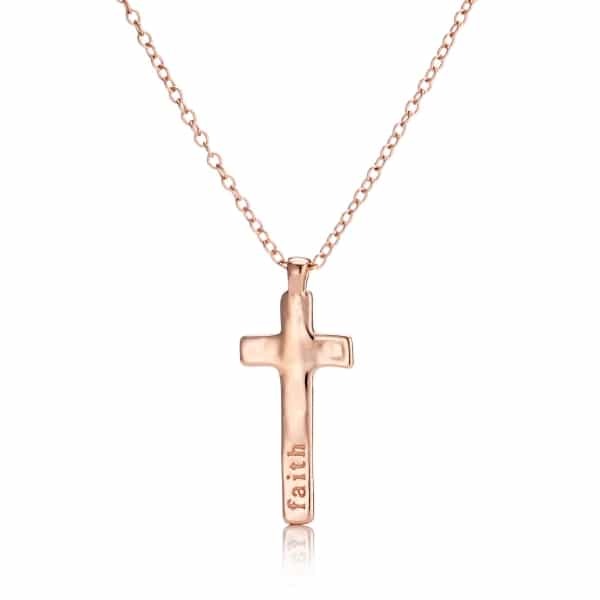 Have a little faith with our Personalised Rose Gold Vermeil Maxi Cross Pendant Necklace. 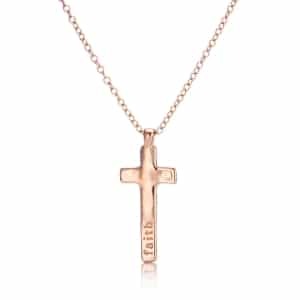 A striking piece of jewellery for the modern woman, it features a classic cross shaped pendant suspended on a fine trace chain. The cross has an organic textured finish and it is beautifully stamped with the word ‘Faith’ in eye-catching font. 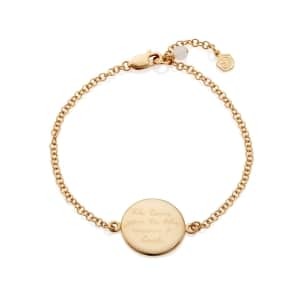 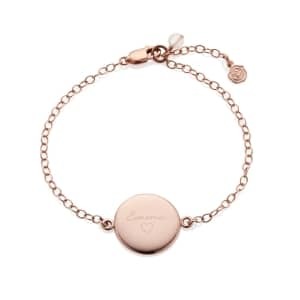 The back can be personalised with the engraving of your choice. 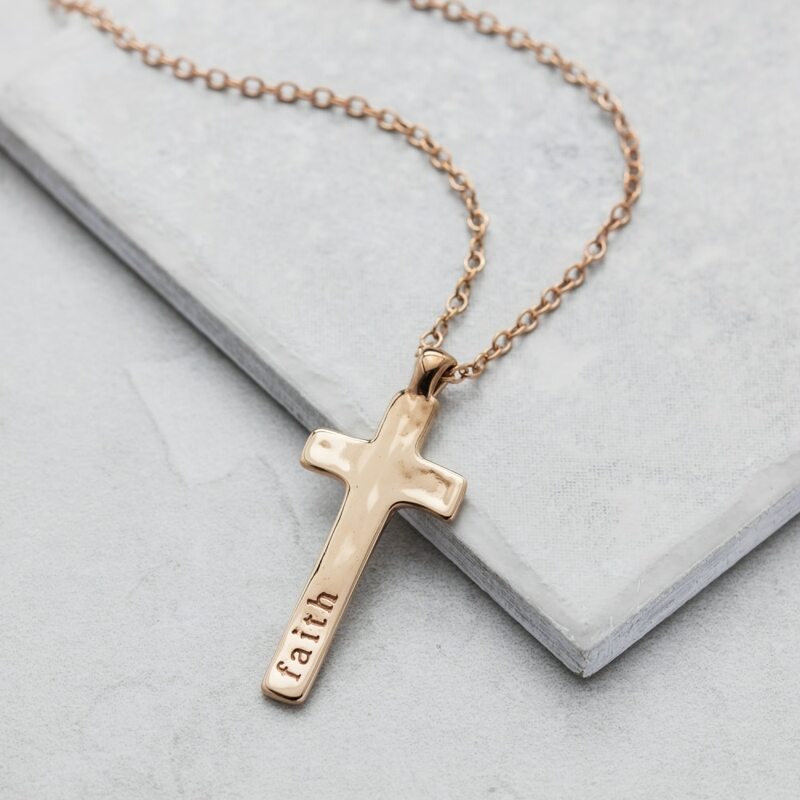 As a symbol of faith and spirituality, this Personalised Maxi Cross Pendant Necklace remains a popular choice for religious ceremonies such as christenings, baptisms, and wedding celebrations. 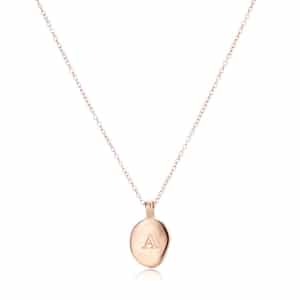 An outstanding addition to traditional bridal gowns, special occasion wear, and boho chic festival fashions, it is a jewellery box essential that will take you anywhere and do so in style.